Prepare to be hypnotised by pastry layers, oozing custard and lemon curd, Freo lovers—there’s a new kid on the patisserie scene. 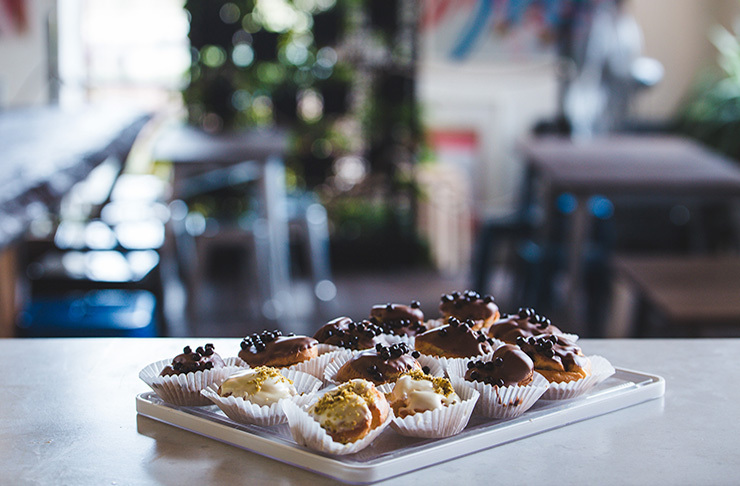 French-inspired patisserie, Butter, is now open at The Mantle’s weekend markets with a delectable range of sweet and savoury pastries, cakes and breakfast tarts made daily by talented chef Brigette Glucina. Brigette spent the last three years in Paris gaining her qualification at Le Cordon Bleu Paris and working at Bones with internationally acclaimed chef James Henry. Butter will be open every Saturday and Sunday from 8am till noon. If you pop in this weekend, you can get your hands on a free choux with every flavoured croissant. We're so there. Looking for more Freo goodness? Check out 14 Fremantle Restaurants And Cafes You Need To Visit!